You may also like the opportunity to comment on proposed changes to local NHS services. The Patient Participation Group (PPG) is there to make sure that you can have your say. This group meets regularly with the Practice Manager to share insights and information from the patient community. We aim to have about 10 registered patients from as broad a spectrum as possible to get a truly representative sample of the registered patients at Bampton Medical Practice. We need young people, workers, retirees, people with long term conditions and people from non-British ethnic groups. The next meeting to be decided - do get in touch by phone of email to pm.bampton@nhs.net if you would like to join us. Please note that we cannot consider requests for medical information or questions. The 2015 Bampton Medical Practice patient survey took place on the 23 – 27 February 2015, questionnaires were done at both the Bampton site and the Carterton site. During this period questionnaires were left out in the surgery, 110 questionnaires were received back. All patient survey sheets are anonymous but the practice would like to thank all those patients who took the time to complete this patient survey. Results from patient’s survey 2015 are recorded at Annex A. Respondents also had the opportunity to free text comments about the practice, we received a 27% uptake on this and all comments are listed at Annex B. This report and the results from the survey will be discussed with the Patient Participation Group (PPG) and an action plan will be created to address any issues. The 2015 patient survey asked patients seven questions, five questions were graded very satisfied, satisfied, neither satisfied nor dissatisfied, dissatisfied and very dissatisfied. The questions 1 and 2 were gender and age related, this was to display in the survey results that a fair age and gender range of our registered patients have been represented in this survey. Action plan for this survey has been agreed by the PPG meeting held on the 19 March 2015 and is listed at Annex C.
1. What is your level of satisfaction with the Practices opening times? 92 % of respondents graded Bampton Medical Practice as satisfied or very satisfied. This may reflect the current process of the appointment system that operates where urgent appointment requests are dealt with by GP telephone calls, if required patient’s get an appointment with a GP that day. There were comments made about opening outside of office hours, this will be discussed by the PPG. 2. How confident are you with the procedure of obtaining an appointment at the Surgery? 86 % of respondents graded Bampton Medical Practice as satisfied or very satisfied. Again may reflect the telephone system where the GP’s ring the patient’s later in the day. Discuss with PPG. 3. How do you find the comfort of the waiting room? 95% of respondents graded Bampton Medical Practice as satisfied or very satisfied... Appears patients are very content with the waiting room. 98 % of respondents graded Bampton Medical Practice as satisfied or very satisfied. Appears patients are very content with the service received from the clinical team. 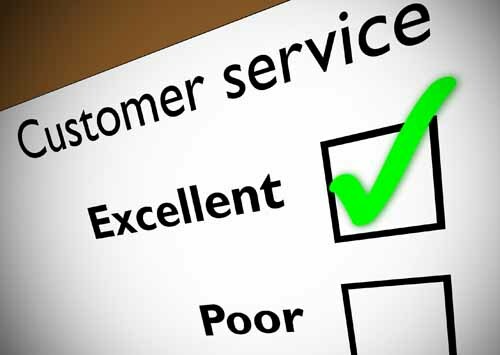 Please describe your level of satisfaction with the treatment you receive from reception staff at the surgery? 94 % of respondents graded Bampton Medical Practice as satisfied or very satisfied. Appears patients are very content with the service received from the non-clinical team. The results indicate that 93% of patients registered at Bampton Medical Practice who took part in this survey graded the practice as satisfactory or above. This is a direct result of the hard work put in to the surgery by the team who work at Bampton Medical Practice to ensure that patient care is the forefront of the working day. Q1. What is your level of satisfaction with the Practices opening times? How confident are you with the procedure of obtaining an appointment at the Surgery? Q3. How do you find the comfort of the waiting room? Q5. Please describe your level of satisfaction with the treatment you receive from reception staff at the surgery? Q6. Are you male or female? Comments – Feel free to add any comments on back if sheet if required. I am grateful to be a member of such a good practice. I have always had excellent treatment from the surgery. I am able to speak with my Doctor at a time which is much appreciated as I am a diabetic. Treatment sometimes very good other times incredibly bad. The way that appointments are now dealt with are frustrating. Some doctors are very good others not to not help in resolving the issues. Reception staff can be very rude when calling in but when you arrive they are very welcome. We are very lucky to have Bampton and Carterton Surgeries. Prefer to book appointments on line as some receptionists are scary. Don’t Mend it if it aint broke. Being called back by the Dr suits me fine allows opportunity to explain and leave choice of appointment or not , where it should be i.e. with the Dr.
Saturday would be good (appointments). Difficult to book appointment for ill children when you have to wait for the Dr to phone back, but need to go to work/arrange child care. 5 Grammar and typing errors (refers to the survey sheet). So far I have been very fortunate and been given an appointment with my doctor. Being very elderly I am not happy at having to discuss much on the telephone as I am deaf but realise how busy the doctors are, we are very lucky with the surgery and pharmacy. One Receptionist is particularly unfriendly & the other is the opposite. When you are feeling unwell you really do not need someone to be unpleasant. The other receptionist is great though. It would be good for the practice to be open on a Saturday. It would be helpful if opening hours were slightly later in the evenings/ I think the triage system works well, usually with a fairly quick phone call back. Just thank you Dr Grimwade. Should be open on a Saturday 10 am – 3pm, would spread out to see a doctor as bampton is a very busy surgery. We feel that people who miss appointments for no good reason should be charged. Been coming to the surgery for years, always courteous, friendly and helpful. But Surgery is very dirty toilet floor and area waiting room carpet. Vary Satisfied with Carterton – Bampton receptionist can be very rude at times. Bampton and Carterton surgery have been amazing. I Have health and anxiety and the receptionists at both surgeries are understanding and the doctors always take the time to see me and reassure me sometimes at really short notice. I have been a patient here for the past four years and it is 100% better than my last practice. I am so thankful for all that you do. Not happy with the telephone referral, very inconvenient for work. Please bring back old appointment system. All telephone calls are recorded at the surgery. Any telephone discrepancies from staff or patient will be looked at in detail. This will involve listening to the call and reviewing what happened. This is an excellent training tool and also provides clarity on the actual events. Patient’s who experience poor quality of service via the telephone need to inform the practice manager so that the issue can be investigated. Advertise on website and in the patient’s waiting room. This issue is being addressed via the Prime Ministers Challenge Fund (PMCF) has been applied for. The aim of this tis to provide appointments for patients 7am-7pm 7 day a week. This will operate from a Hub where patient will be able to have a routine appointment with a Dr or nurse when the normal surgery is closed. If the PMCF is unsuccessful there are no plans to extend opening hours to the weekends. Discussed that this could be any public facility, hotel, anywhere, people do not always have the same standards of cleanliness. The practice toilets are cleaned daily (every morning) but during the working day toilets are not cleaned. We do not have staff to clean and check the toilets during the day we will however place up signs in all our toilet facilities stating that if you feel this is a dirty toilet then please inform reception staff. Carterton toilets will also be fitted with air fresh dispensers that release a pleasant aroma during the day. This was unsustainable for the practice to provide a quality service that is fair to all of the patients at Bampton Medical Practice. Appointments for ill children who are ill on the day are made via the Dr Telephone Clinic (triage clinic). The GP phones the parent and as a result of this call an appropriate appointment is made for the child on the basis of their individual health needs. If the child needs to see a GP immediately then this will be done the same day.